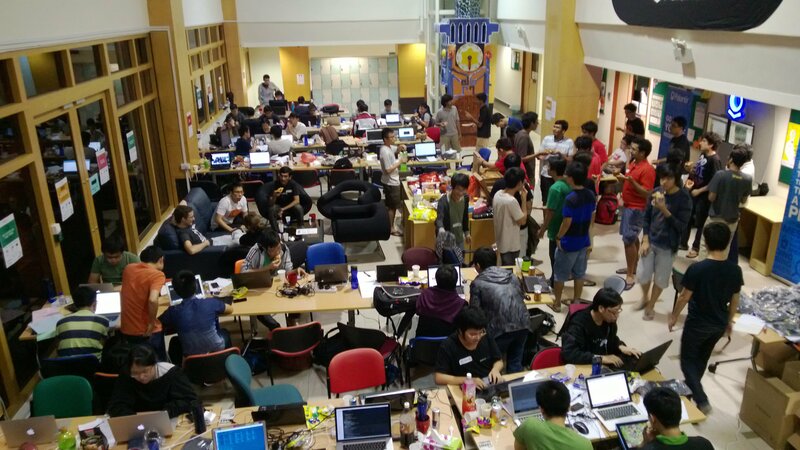 Hack&Roll, the 24-hour hackathon we started last year, was held for the second time around on the 24th and 25th of February, in the NUS School of Computing COM1 Basement. 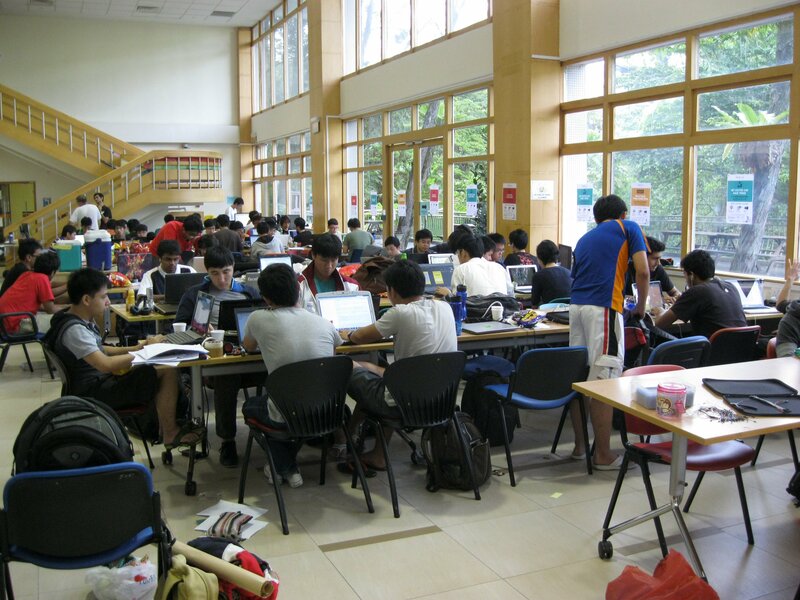 This year saw an even larger turnout than last time, with 62 participants competing in 22 teams, as well as a number of non-participants who came down to enjoy the ambiance and work on their own. 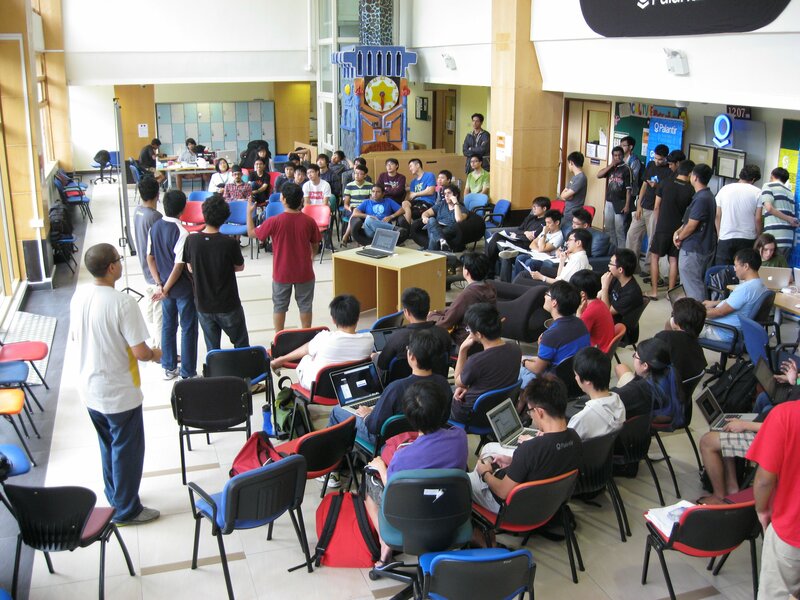 After working through the night (fuelled by a large supply of snacks and drinks), the teams presented their work to each other and the panel of judges: Dinesh and Brian from Palantir Technologies, Professor Lee Wee Sun from NUS SOC, Ruiwen and Luther from Hackerspace SG, and Justin from BlackBerry. 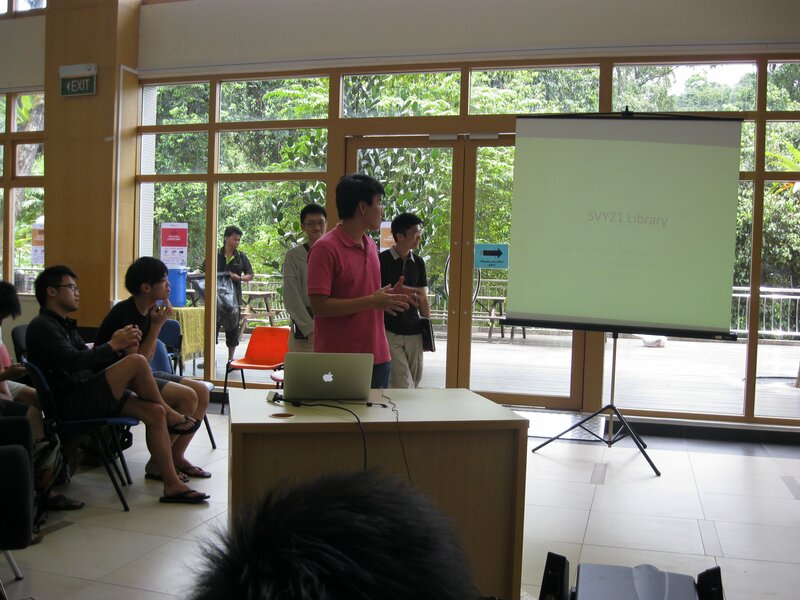 First prize was taken by Team SigLabs, who built an open source converter between Latitude/Longitude and SVY21 (https://github.com/cgcai/SVY21), a geodetic datum used here in Singapore. Their efforts earned each member an all-expense-paid trip to Silicon Valley (courtesy of Palantir Technologies), a new BlackBerry Z10, and a one year GitHub Small Account. Team Chunky Bar developed an augmented reality mobile game where the object was to launch objects at “coworkers” in a virtual office. This earned him second prize, a Parrot A.R. Drone 2.0, a BlackBerry Z10, and a one year GitHub Small Account. 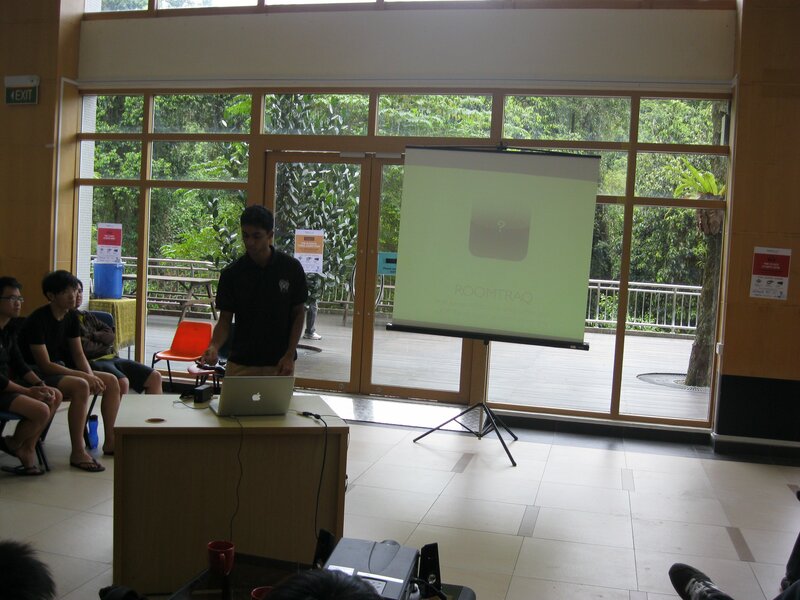 Participants voted for their favourite project after all presentations were made, and the Popular Choice spot prize went to him as well – a Raspberry Pi Model B. Third prize went to Team RedBull, who built a WiFi-enabled space tracker (https://github.com/soulslicer/RoomTraq) which recorded how many people entered or left a given area. He was given an MK808 Dual-Core USB Computer. 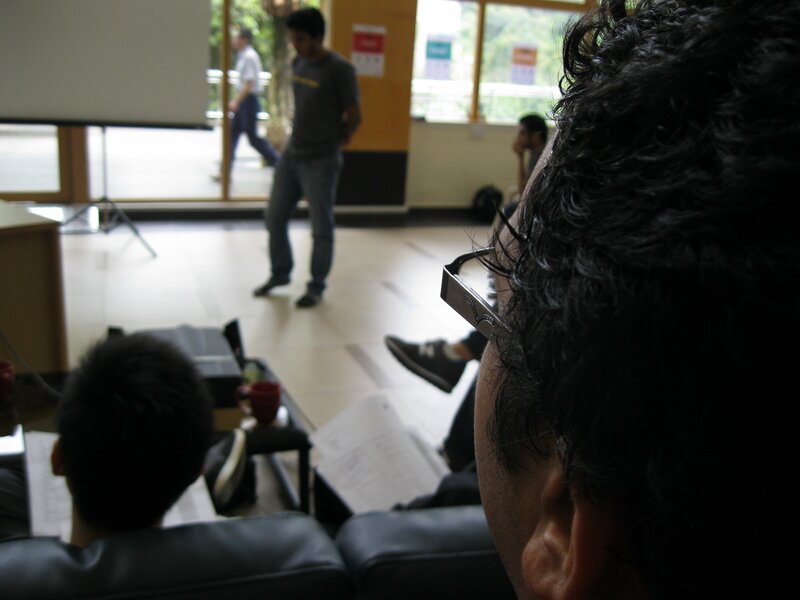 There were also several spot prizes given out to teams the judges felt particularly deserved them. 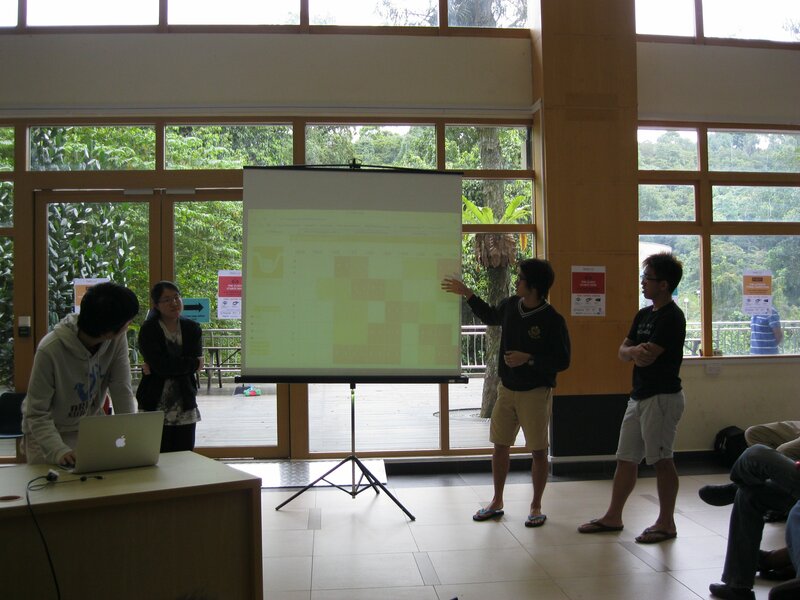 The Best Freshmen Effort prize went to Team Nange, who built a web app (https://github.com/yyjhao/NUSMorge) that hooked into NUSMods to show overlaps and free spots between different timetables. Each member was given an Arduino Leonardo. The Most Awesomely Useless award (created to reward the team whose product best embodied the spirit of “hacking for the sake of hacking”) went to Team Infinite Loop, who developed a facial recognition system to control an RC car. For this, they walked away with a Neocube each. We’d like to thank all our sponsors (including Palantir Technologies, BlackBerry, and PayPal, to name a few), and especially everyone who came down to either participate or simply hang out – Hack&Roll simply couldn’t have been possible without you. We have a series of write-ups that’ll go up over the next few weeks, written by participants: these give a description of what they worked on and came up with during the event. Do look out for them!